Kneed-It XMs patented magnetic design works with the motion of your knee. As you move, Kneed-It XM gently applies pressure to the joint liner and tendons of the knee to help pump soreness away. Kneed-It XM is a safe, natural, non-invasive alternative that helps the body heal itself of minor discomfort and easily adjusts for comfort. 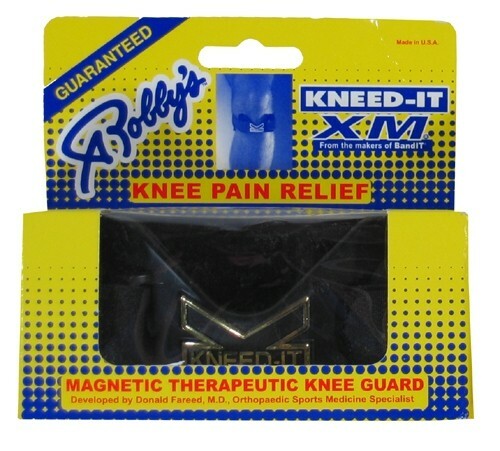 Due to the time it takes to produce the Robbys Kneed It Magnetic Knee Support ball it will ship in immediately. We cannot ship this ball outside the United States.